You are here:Home » Category: "Boat launch"
Motorboat & Yachting: Cannes Yachting Festival in September will see the launch of the new Monte Carlo Yachts 80 which will slot in between the 76 and 86 when it hits the water in the autumn. The Monte Carlo Yachts range has a line-up that runs from 65ft all the way up to the 100ft that was launched in Venice last year. The boat yard is using Nuvolari Lenard design house to carve out a familiar Monte Carlo Yacht shape on an 80ft canvas with typical styling points like the feature windows in the topsides, round ports, stern “eyebrow” over the windscreen and a Portuguese bridge. Motorboat & Yachting: The Swedish boatyard Nimbus has revealed details of its first model in a new range, new Nimbus 305 Drophead day cruiser, which promises a comfortable ride at all speeds. The new Nimbus 305 Drophead is a 32ft day cruiser and shares the same hull platform as the recently launch Nimbus 305 Coupé. Nimbus explains that the new model is to provide a comfortable ride at all speeds up to 22 knots with no perceivable planning threshold. Powertrain options are the same as the 305 Coupé – single Volvo Penta D3 engines or the Torqeedo Deep Blue electric alternative. The first models are due to roll off the production line in March 2016. “We are turning to those looking for a wonderful and comfortable boat trip with focus on socialising and where speed is not the most important factor.” said Joacim Gustavsson, head designer at Nimbus. The interior styling is a typically Scandinavian flavour with Mahogany woodwork and lacquered surfaces. 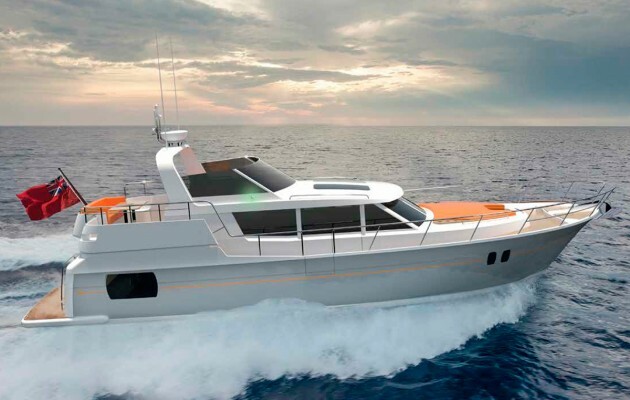 Some of the key features include two double cabins below decks, a single-level main deck, wide side decks for ease of crewing, and a powered canvas hood cover. Motorboat & Yachting: Wessex Bristol has plans for Fletcher Boats, which includes relocation to the coast and a launch of new 29ft model. 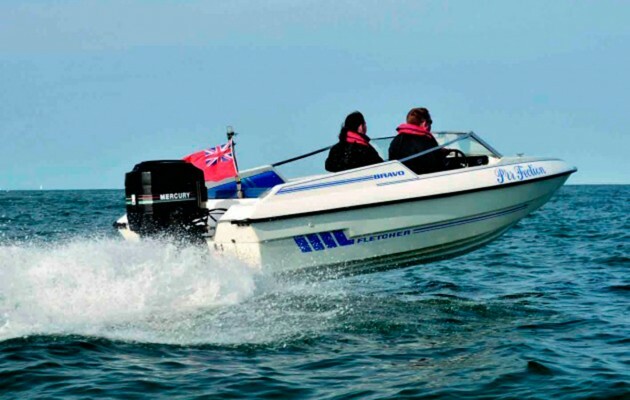 British speedboat manufacturer Fletcher Boats is going to relocate to a new coastal premises and will launch a new 29ft model. Fletcher Boats has been based in Wolverhampton for over ten years, but the relocation would bring the firm closer to the coast. “We’re planning to relaunch Fletcher with new designs and new models, produced from a better, more advanced unit.”, said CEO Ayaiz Ahmed. 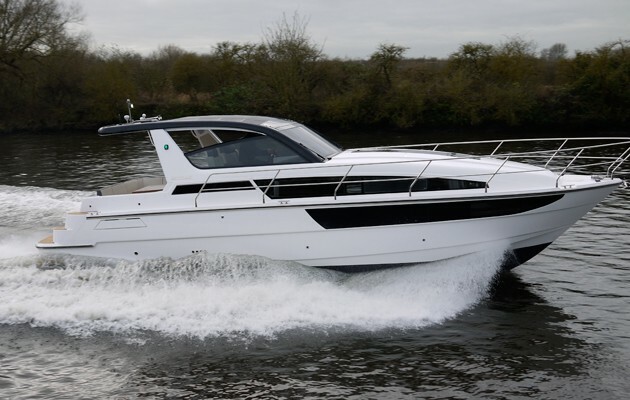 Other ambitious plans for Fletcher Boats include ramping up production to 100 boats by the end of 2017 starting with the launch of a new 29ft model at the 2016 Southampton Boat Show or the 2017 Dusseldorf Boat Show. Motorboat & Yachting: Ferretti Security and Defence will launch debut model FSD195 this summer from a new division of the Italian yard. 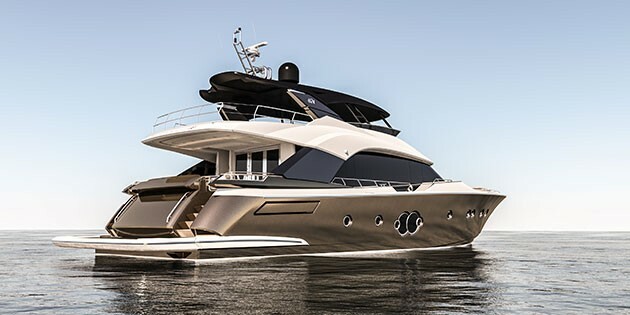 One of the biggest boating brands in Italy, Ferretti Group has set its sights on a new territory with the debut launch of Ferretti Security and Defence, FSD195 this summer 2016. The new range of high-tech naval platforms has been commissioned by the Italian government, and it boast a top speed of 50 knots and a maximum range of 400 miles. 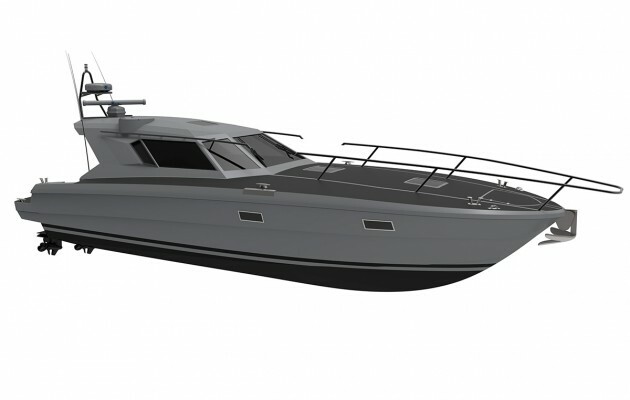 The new 65ft defence boat will be used to protect Italy’s coastline by security patrol. “It is my pleasure to welcome the advent of an Italian company like Ferretti Group in the Security and Defence sector, which is vitally important for our country.”, said Interior minister Angelino Alfano. FSD195 is under construction and Ferretti Security and Defence are also going to produce other designs for a range of vessels from 40ft-116ft with the Ferretti design hallmarks, with an elegant profile and smooth flowing lines. “FSD’s mission is to develop vessels whose performance and efficiency meet the challenging demands faced by those who guarantee the safety of our waters, an issue that has always been associated with all of the operations undertaken by our group.”, said Alberto Galassi, CEO of Ferretti Group. 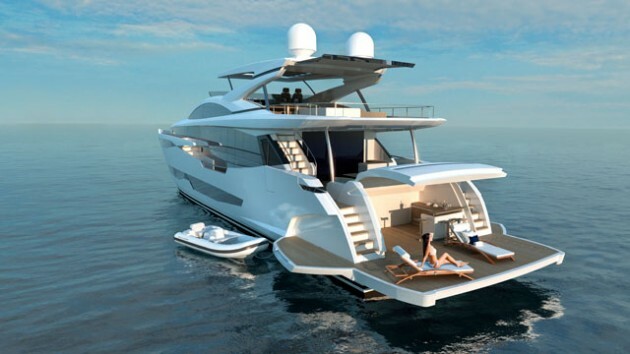 The Ferretti Security and Defence 195 is due for launch this summer. 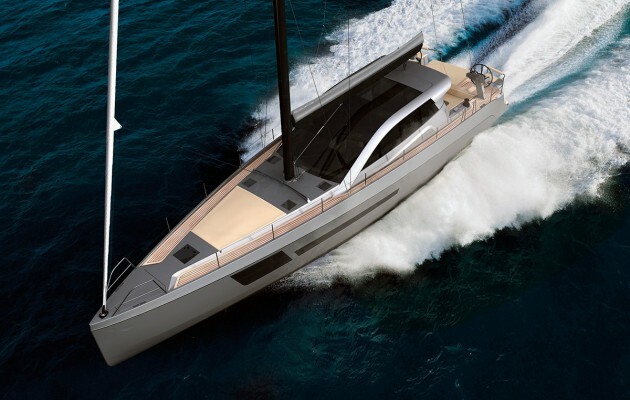 Motorboat & Yachting: Spanish boatyard BD Yachts has revealed its latest design for a 54ft motor sailer that would be capable of 21 knots under power, aimed at a “new generation of expert and demanding owners who have no use for stereotypes”. 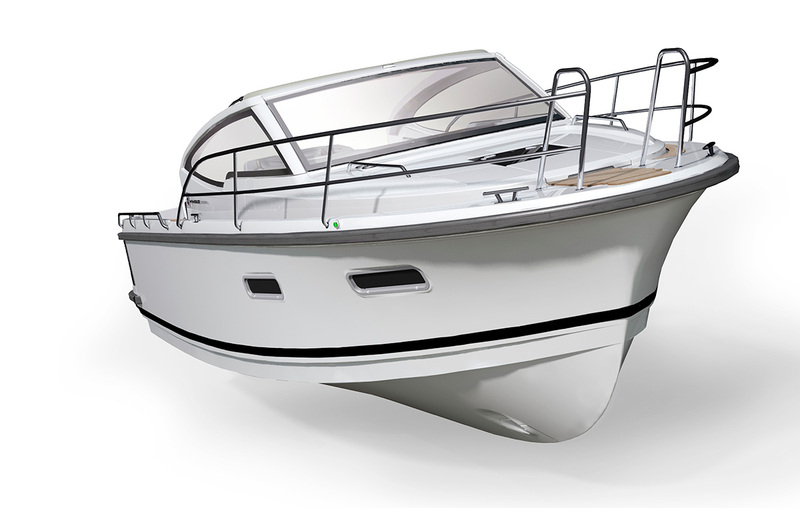 The new BD56 has sufficient power to be considered a motor boat, having up to 2x300hp outboard engines available with joystick control despite its sailboat styling. When the wind drops, there is still a maximum speed of 21 knots giving owners the thrill of motor boating as well as the comfort of sailing. Some other key features include a self-tacking jib, twin wheel deck layout, a roller furling mainsail, carbon fibre mast, and a retractable keel that can reduce the draught from 3.5m to 2.1m. Furthermore, the amount of glass in the superstructure gives bright and airy interior that you usually expects in a sportscruiser. Below the decks you’ll find three en-suite cabins, including an owner’s cabin in the bows. 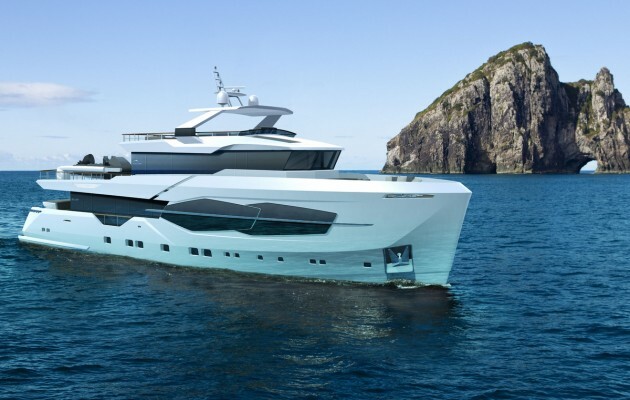 “The change in owner’s habits – their love of the sea and everything that’s connected to it, but at the same time the lack of free time, typical of today’s society – has brought us to develop a new concept in a sailing yacht that lets everyone live their passions to the full”, said CEO of BD Yachts, Jordi Bisbe. 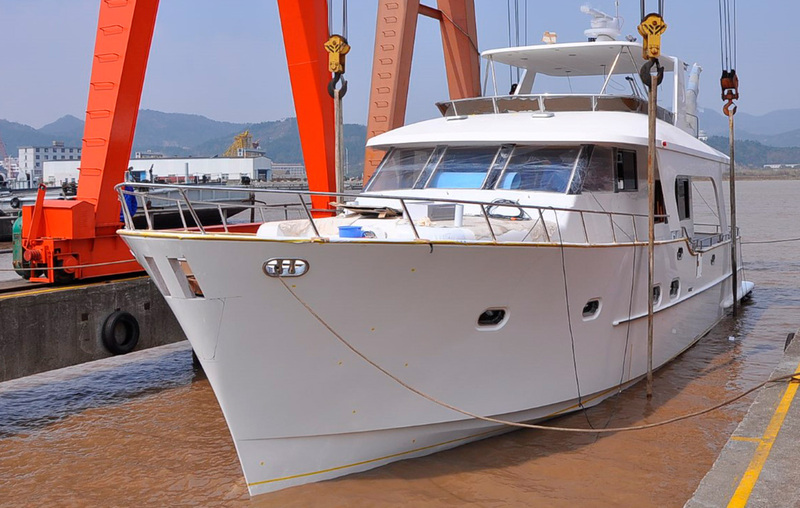 Launch dates and prices for the BD56 have not been confirmed yet, but the motor sailer will come backed up by a five-year guarantee according to BD Yachts. Motorboat & Yachting: The much-awaited Sheerline 1090HT will finally get its public debut at this week’s London Boat Show, with a smart, modern interior.